There is actually no such thing as “making a payment” on CES because there is nothing to “pay” with! On the CES platform all we do after a transaction has taken place is to record the details of it. Normally this is done by the provider of the goods or service (the “seller”). The reason why it is this way is because it makes more sense for the seller to do it, especially in a market situation. If it was up to buyers to do it, they would probably never get around to doing it and cause much frustration for sellers. Also, because there is no such thing as “payment” in CES, when the seller enters the transaction the buyer is left with a feeling of obligation to provide something for other members of the exchange. CES is not a bartering system and nothing is “given” by buyers to sellers in exchange for what is provided. Those in debit “pay” for what they have received by doing or giving something to other members at a later time. There are occasions, however, when it is more convenient for the buyer to enter the transaction. In a face-to-face situation it is often convenient for the buyer to enter the transaction, so that the seller can see that the buyer is not blocked and not over their debit limit. The buyer might have a mobile device at hand and the seller not. Some sellers find it too complex to log in and enter trades, and so are happy for the buyer to do it. 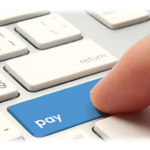 The ability to make “payments” has long been available on the mobile interface (cell.ctte.org.za). After logging in, select Transactions and Enter transaction – as buyer. This feature is now available on the full site as well (www.ctte.org.za / www.community-exchange.org). Log into your account and hover your mouse over the [Trading] button. Select Single Transactions — Single Tx – Quick from the drop-down menu. On the Enter Transaction page, select the Enter as: Buyer (pay) radio button. This will change some of the text on the page and then you (as buyer) can proceed to enter the transaction data. Entering the transaction data is the same as before. All you are required to do is to enter the seller’s account number, a description of what you received, and the amount. Please note that the amount must be in the seller’s currency (i.e. the seller’s price). In most cases this will be in your currency because the seller will be a member of your exchange, but if the seller is from another exchange a conversion rate might need to be applied. There is no need to worry about this conversion rate as the programming will convert the amount and correctly debit your account in your currency. On entering the transaction, an email will be sent to the seller informing them that their account has been credited.